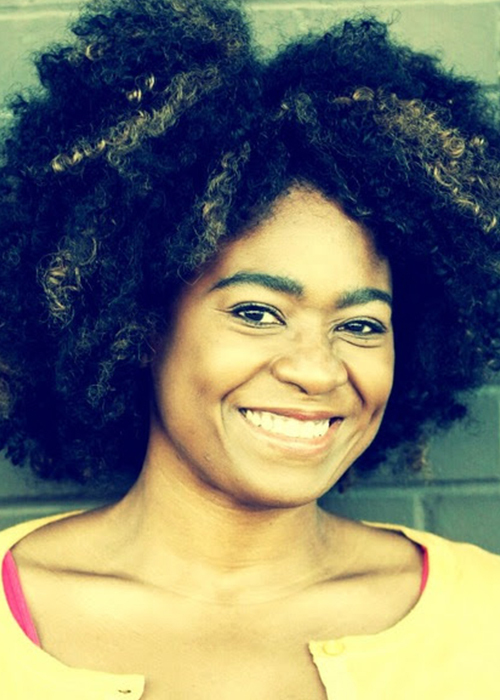 About – Women of Color Network, Inc.
WOCN, Inc. is a national grassroots initiative dedicated to building the capacity of women of color advocates and activists responding to violence against women in communities of color. 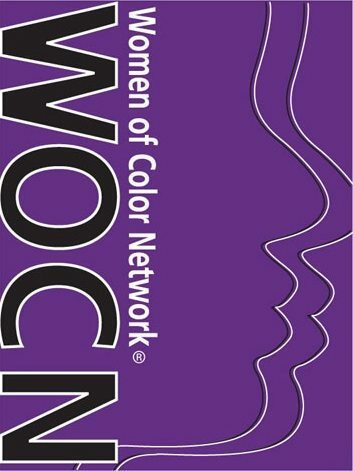 In 1997, a group of women of color from across the country gathered to establish an entity to address the unique challenges facing women of color advocates and activists within the violence against women movement. 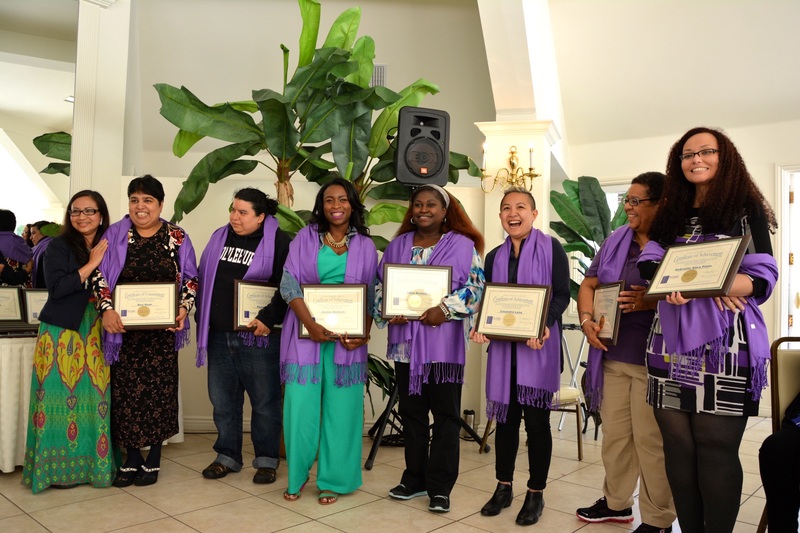 The mission of WOCN, Inc. is to eliminate violence against ALL women and their communities by centralizing the voices and promoting the leadership of women of color across the Sovereign Nations, the United States and U.S. Territories. The purpose of WOCN, Inc. is to work in and beyond the fields of domestic violence and sexual assault to address a broad range of violence affecting communities of color such as human trafficking, police brutality and over-incarceration. The political term “women of color” surfaced in the violence against women movement in the late seventies to unify all women experiencing multiple layers of marginalization with race and ethnicity as a common issue. In recent years, the term has been questioned by many for valid reasons related to personal identity and definition, and because the word “color” is not the primary issue for many women with shared ethnicity and race. We welcome all women of Asian/Pacific Islander, Arab/Middle-Eastern, Black/African American/Caribbean/West Indies, Native/Indigenous, and Hispanic/Latin descent and hope you will join us in rising above language for unity. 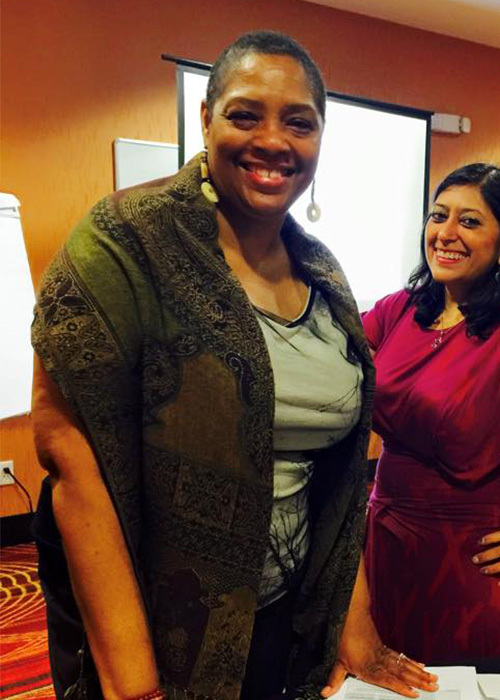 WOCN, Inc. is nationally regarded as a women of color-led initiative because: WOCN, Inc. leadership, staff, and WOCN Advisors are made up exclusively of women of color. WOCN, Inc. programming and issue areas are generated and inspired directly from its women of color constituency as a part of continuous dialogues, surveys, and programming conducted around the country. Rev. Dr. Aleese Moore-Orbih, BA, MA, D. Min. The WOCN, Inc. Board is comprised of five women of color members from diverse ethnicities, localities, and professions who represent the broad membership of WOCN, Inc.. The purpose of the WOCN, Inc. Board is to define the work and support the growth of the WOCN, Inc.
Clara Galván Lindstrom, M. Ed., Board Chair: Clara is the CEO of The La Mariposa Enterprises with over 35 years experience working with survivors of sexual assault, domestic violence, stalking, and human trafficking. Clara resides in Eugene, Oregon. 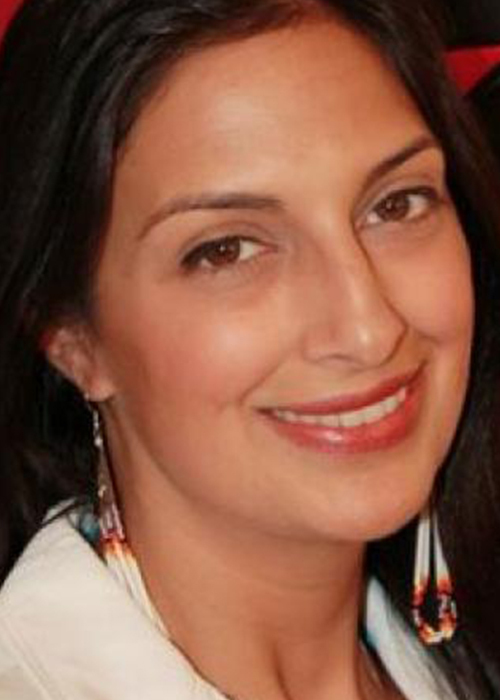 Anzala B. Alozie, JD, Board Treasurer: Anzala is Executive Director of Youth Development and the Albany YMCA with the Capital District YMCA. Anzala is located in Albany, New York. Isa Woldeguiorguis, M. 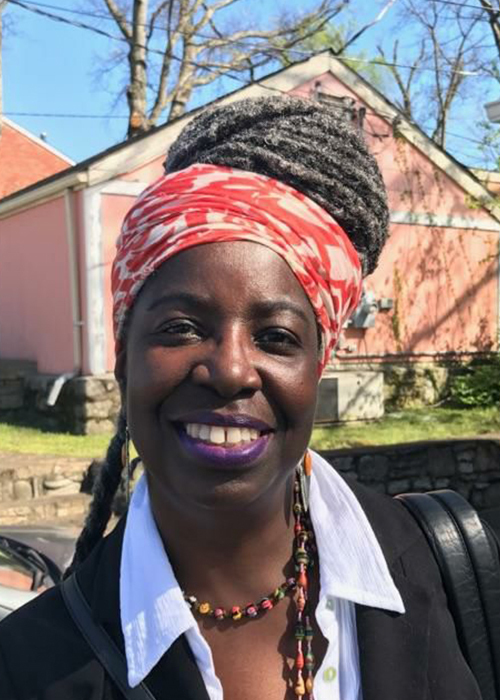 Ed., Board Secretary: Isa is the Executive Director for The Center for Hope and Healing, Inc., and is located in Salem, Massachusetts. 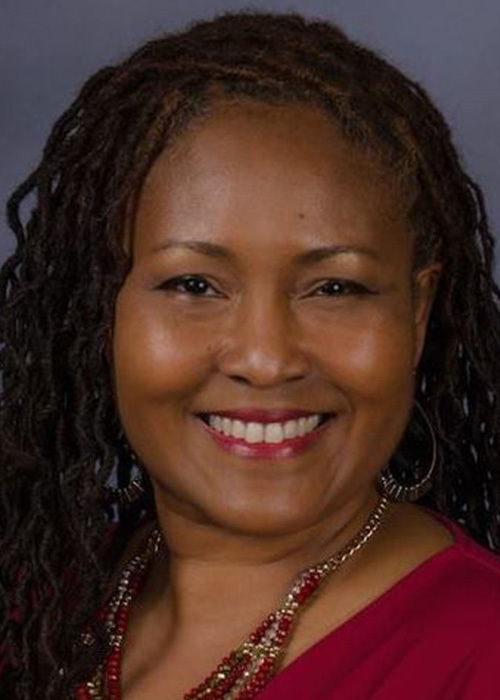 Tonya Lovelace, MA, Founding CEO and General Board Member: Tonya is the CEO for WOCN, Inc., leading the spin-off of the organization effective September 30, 2014. Tonya resides in Harrisburg, PA. Welcome New 2017 Board Members! Edna James, General Board Member: Edna recently retired from federal government after more than three decades working to end family and domestic violence. Edna brings with her a vast knowledge and understanding of family systems, domestic violence, state and federal government programming, systems and funding. Edna is located in South Carolina. Tony Porter, General Board Member: Tony is the CEO of A CALL TO MEN, an organization promoting healthy manhood, and is a international author, educator, and activist. Tony resides in Charlotte, NC. WOCN is representative of many races, cultures and ethnicities, work experiences, levels of education and life experiences. Everyone is valuable and appreciated for what they bring to the table. We will maintain these assumptions in our national work: Difference among humans is NOT a deficit. Cultural diversity is a gift. -OPPRESSION is PERVASIVE and HURTS us all, though not in the same ways. -Indigenous peoples continue to struggle silently to overcome multiple oppressions. We recognize and honor this struggle as we do the struggles of all communities of color. -None of us “invented” oppression; we inherited it. Though its creation is not our fault, we must now accept responsibility for our role in its continued existence. -Our commitment to eliminating all forms of injustice must be a lifelong one. -Racism, classism, heterosexism, and all other forms of oppression are BOTH systems of oppression and systems of privilege. -All of us have had the experience as a target of oppression, as well as the experience of privilege. We must also understand multiple oppressions and/or multiple privileges vary these experiences. As women of color we have the ability to still exert power/privilege over each other. We must examine our personal role in this as well as educate other women of color about this. Our commitment as women of color to understand and interact with each other deepens our relationships and ensures our collective survival. and will make strategic decisions how to voice its perspectives or take action in support of women of color advocates, survivors and their families. as well as all forms of oppression affecting communities of color: ie. Native and tribal nations, Asian and Pacific Islander, African and African American, and Latino communities. but acknowledges the similar yet unique circumstances facing each community and fosters an environment for building multicultural alliances. and while not ranking their concerns above other communities of color, supports their quest to restore sovereignty and sheer existence. and seeks participation in national venues and weighs in on critical issues with a position that is informed by WOCN groups, membership, and stakeholders. we need to be based in various locations in the U.S. in order to better represent our constituents, as well as to receive personal and professional support. and having an interstate, regional, and local level impact in support of women of color advocates and activists.